from 15 month to 4.5 years old. 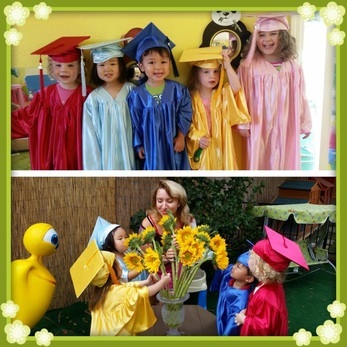 Anna's Child Care, Preschool and Yoga Center offers a unique, multifaceted, expertly designed early childhood education program for infants as young as 6 months up to 6 year old preschool children. All programs are designed to be age specific. Children from 1.5 are able to participate in all programs that are curriculum-based. 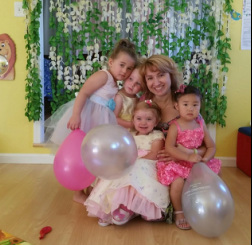 Anna’s Child Care is built and designed for curious and full of life children. Our environment allows children to experience smooth transition between physical and learning activities, self-directed play and drum circles, age specific and small group activities. 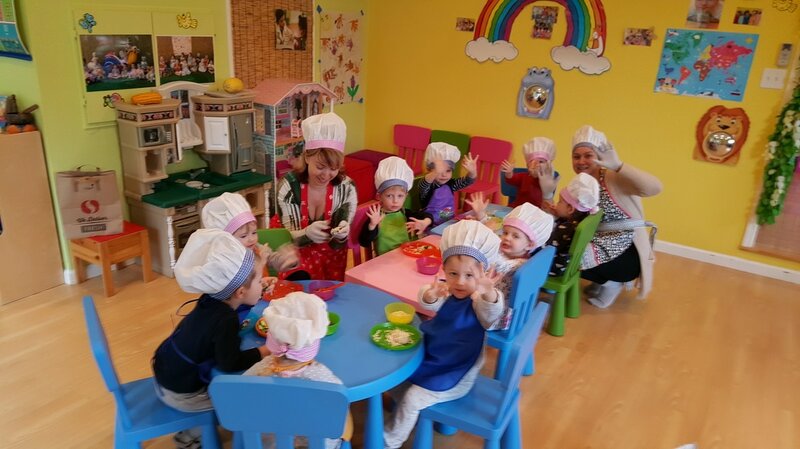 Our unique classes and projects are intended to enhance your toddler’s social skills, to build their confidence, and to plant a seed of a healthy life style and respect to their growing bodies. 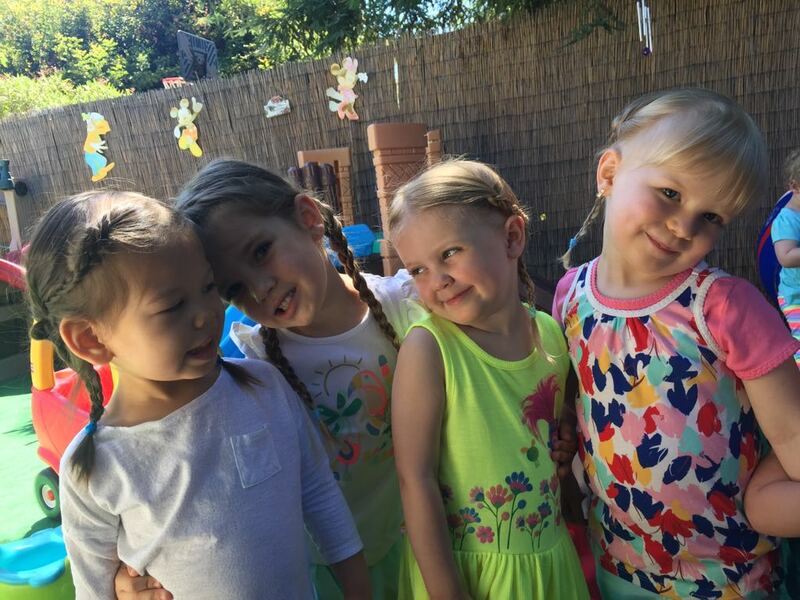 Besides all the traditional child care classes such as art and pre-K training, offered by every preschool and child care, Anna's Child Care offers a variety of educational and nutritional areas to help your child academically and health-wise. 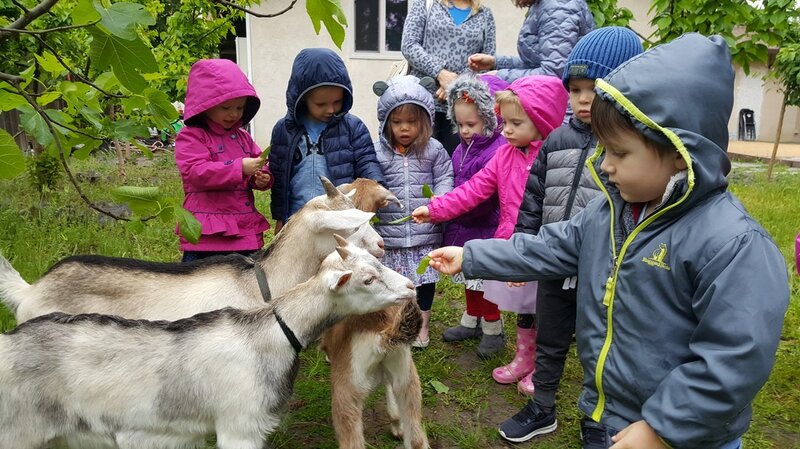 Green Sprouts and Tiny Feathers Farm are Nature-based programs which integrate skills such as reading, writing, mathematical skills into “real life” non-academic situations. Learning how to measure quail’s food and soil for plants, distinguishing the alphabet through names of plants on a sign, or counting seeds, sprouts, quail eggs and quails can motivate children to attempt the process of learning. 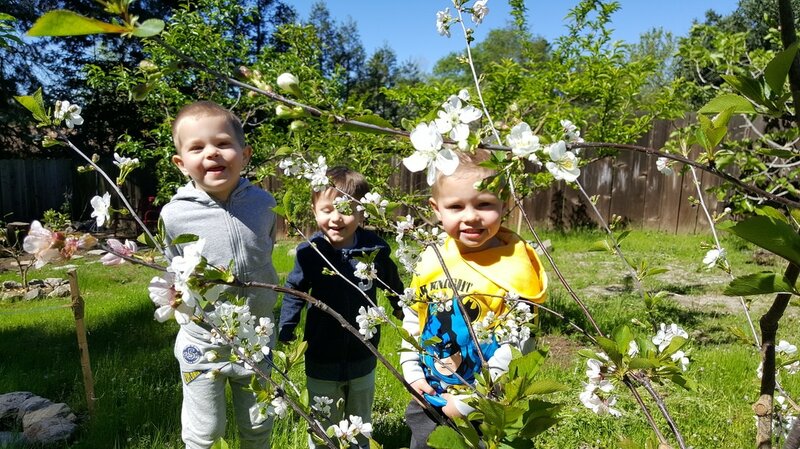 Children acquire academic concepts through play, “working” at their garden and observing quails as they measure garden beds, experiment with the effect of light on plant growth. 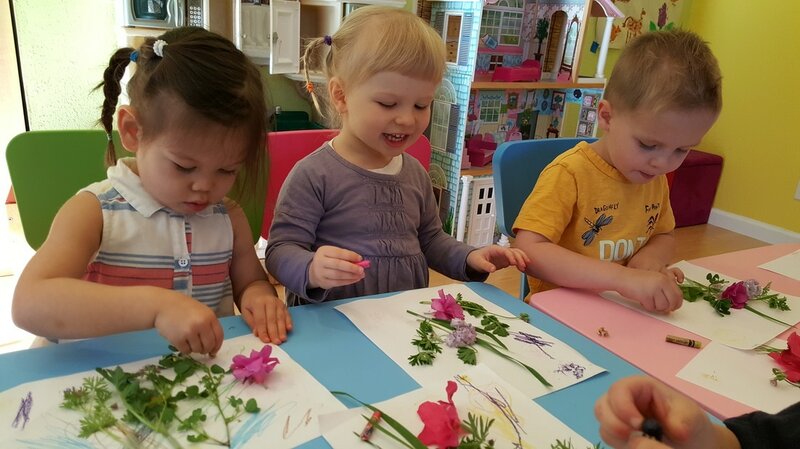 Kids improve fine motor coordination as they carefully spread seeds across a flat of soil on trays, and work with sprouts and flowers. Farm and Garden activities stimulate the senses, provide a quiet refuge for contemplation and internal renewal, and enhance feelings of self-worth. Both programs consist of a series of science lessons where children can learn while they grow things. They follow the steps of placing the peat pellets, planting the seeds, and adding water, then watching the peat pellets - and the seeds - spring to life. Twinkle Yoga Classes are specifically developed and modified with the age appropriate poses, songs, stories, and games. 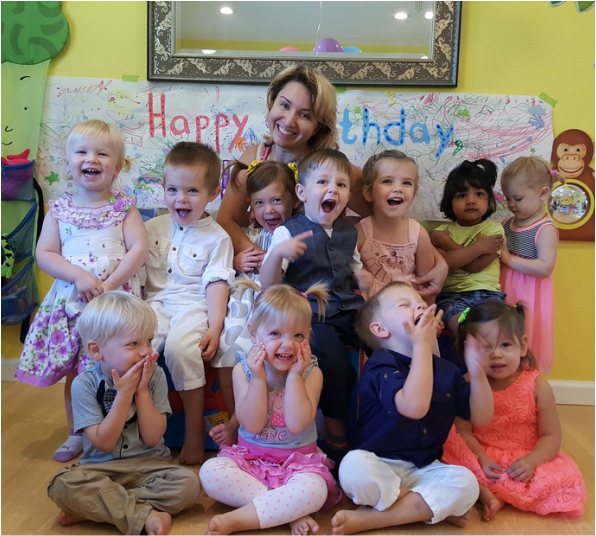 Each class is personalized around the children's imagination and curiosity as they learn yoga through social interaction, repetition, and play, using the It’s Yoga Vinyasa method. In this class children learn how to relieve frustration, improve motor skills, and increase attention span by actively following directions. Twinkle Yoga builds the foundation for a healthy and fit lifestyle while having fun! Yoga teaches children that we are all the same inside, despite our outward appearance, race, and religion. We all have bodies that function, hearts that love, and feelings that feel. This program allows children to fully understand this concept of oneness by working together. Yoga inspires kids to be kind, patient, accepting, and empathetic with themselves and their peers. Happy Tunes Piano Lessons leverage children’s natural learning and creative abilities, and cultivate them for long-term benefit. It is proven that children who learn piano and take lessons have better performance at school. They become particularly good at spatial cognitive development and math, and concentration levels along with hand-eye-mind coordination skills are also enhanced. Music is a language. By exposing your child to music and piano lessons, they will develop habits and interests that will help them easily learn new verbal languages. 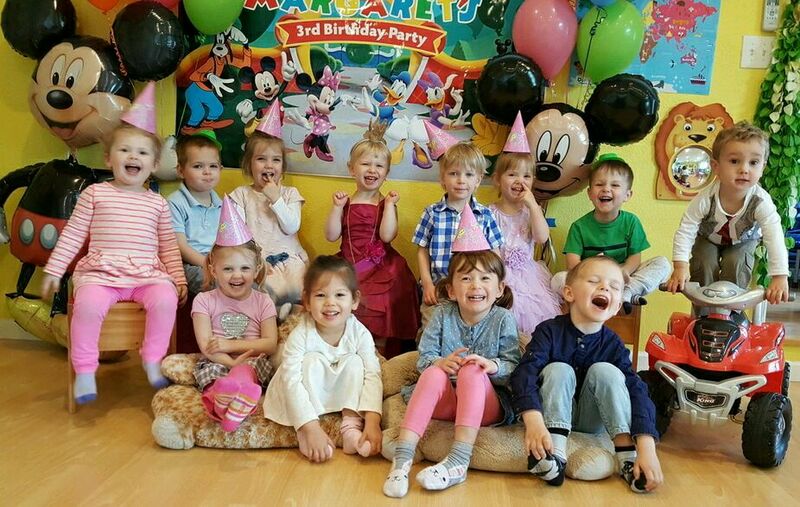 We pride ourselves in offering the very best in private and small group Happy Tunes Classes for children of ages 2 and up. For more details about all of the programs, please click on the pictures above. We understand that the lives of infants and young children can vary day to day. Our schedules are flexible and considerate of their individual needs.The following schedule is the base schedule we'll be using. 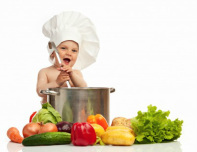 Please go to Infant Care Program page to learn more about the schedule for our little ones. 10:30 am -- 10:40 am Our daily snack "Shake Preparation"